^ Barker, J. H. (1995). "Personal Liberty under Common Law of England, 1200–1600". In Davis, R. W. (ed.). The Origins of Modern Freedom in the West. Stanford: Stanford University Press. pp. 178–202. ISBN 978-0-8047-2474-6. ^ Acemolgu, Daron; Johnson, Simon; Robinson, James A. (2005). "Institutions as a Fundamental Cause of Long-Run Growth". In Aghion, Philippe; Durlauf, Steven (eds.). 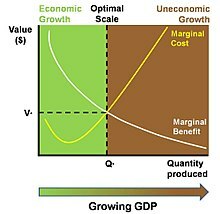 Handbook of Economic Growth. Volume 1, Part A. Elsevier. pp. 385–472. doi:10.1016/S1574-0684(05)01006-3. ISBN 9780444520418. ^ Malthus, Thomas R. (1798). Gilbert, Geoffrey (ed.). An Essay on the Principle of Population. Oxford: Oxford University Press (published 1999).